The most beautiful day in your life should be in the most beautiful place! 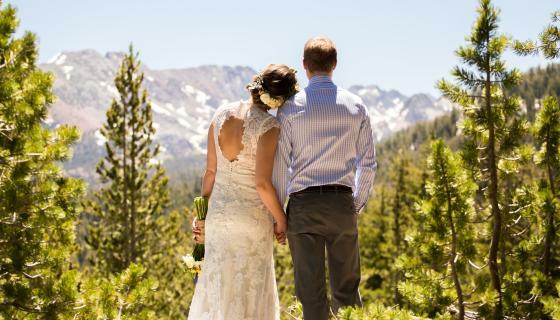 Mono County's spectacular alpine landscape offers the perfect setting for your special ceremony - mountain peaks with views forever, meadows of wildflowers, rustic barns and ranchlands, bridges over brooks, lakeside beaches and sparkling creeks lined with aspens in vibrant fall colors. 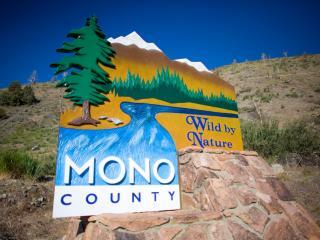 From large, formal events to intimate or casual ceremonies, there are a wide range of venues and wedding services offered throughout Mono County - in every season. Options include Convict Lake Resort, Double Eagle Resort and Spa, Westin Monache Resort Mammoth, Tamarack Lodge, Historic Benton Hot Springs, Mammoth and June mountains, Bridgeport Ranch, Hayden Cabin, Victory Lodge in June Lake and even Bodie Ghost Town!